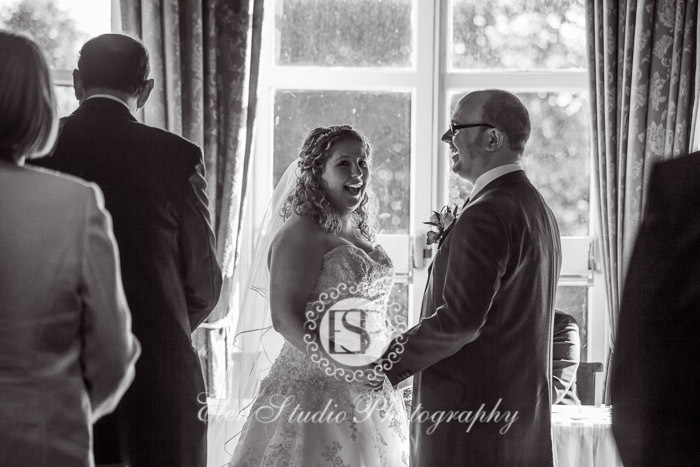 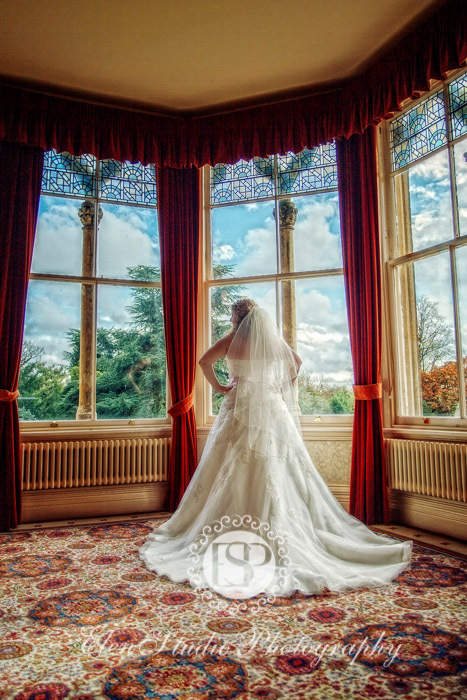 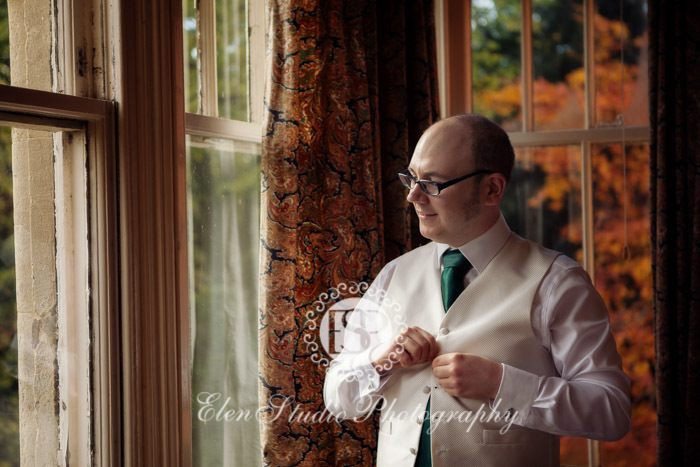 Wedding of Kat and Matt was held at Hughbury Hall, one of the finest wedding venues in Birmingham. 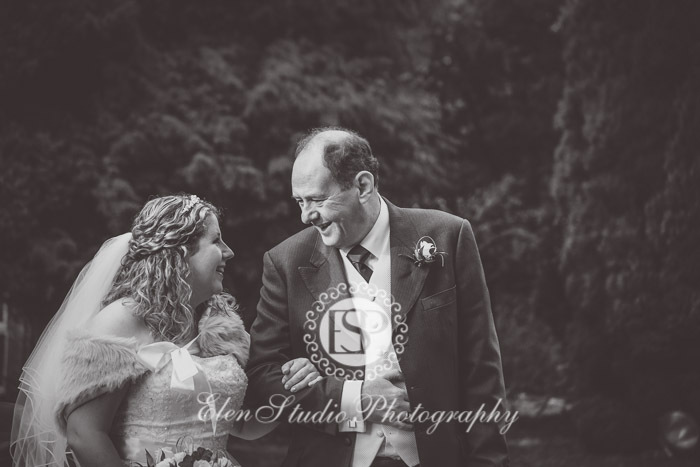 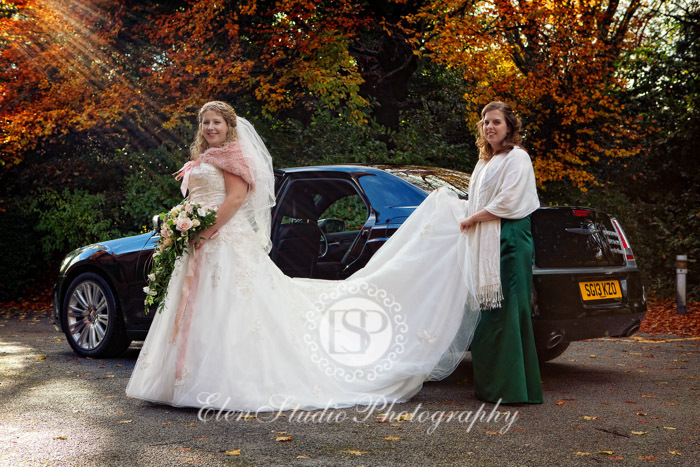 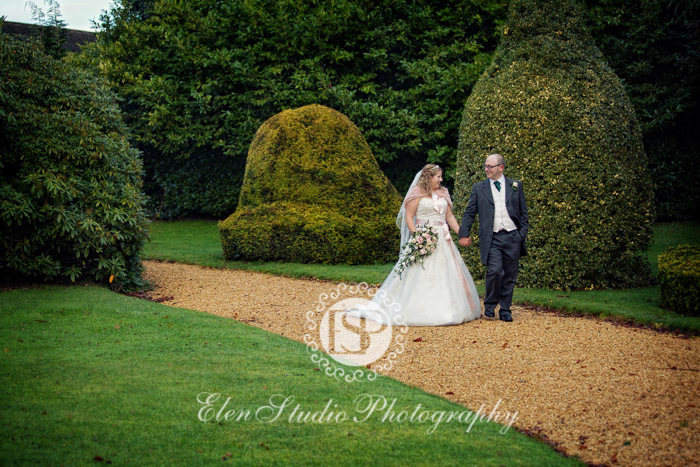 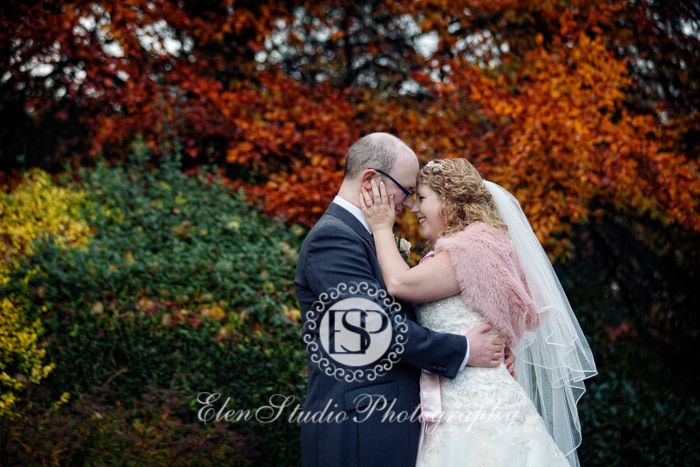 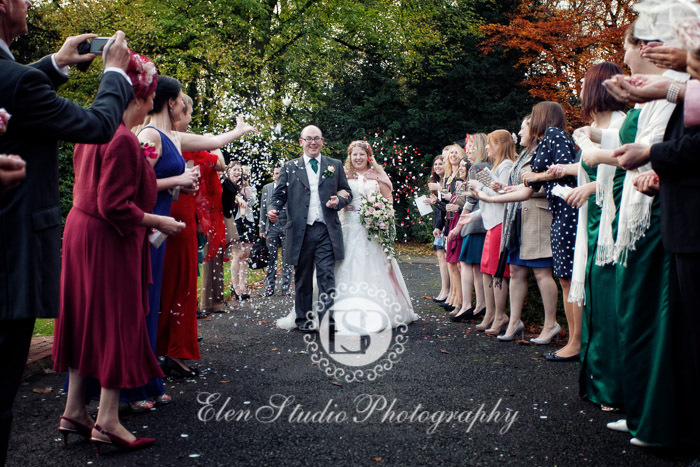 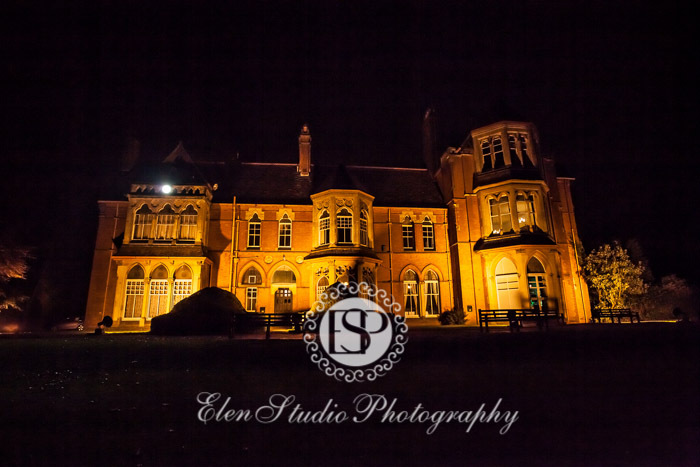 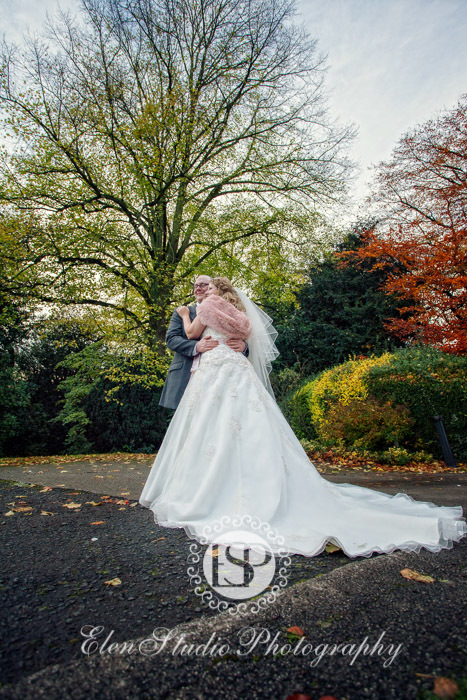 Despite late autumn, the weather on the wedding day was great, sunny and dry, just perfect for photographing the couple and their guests on the Highbury Hall grounds. 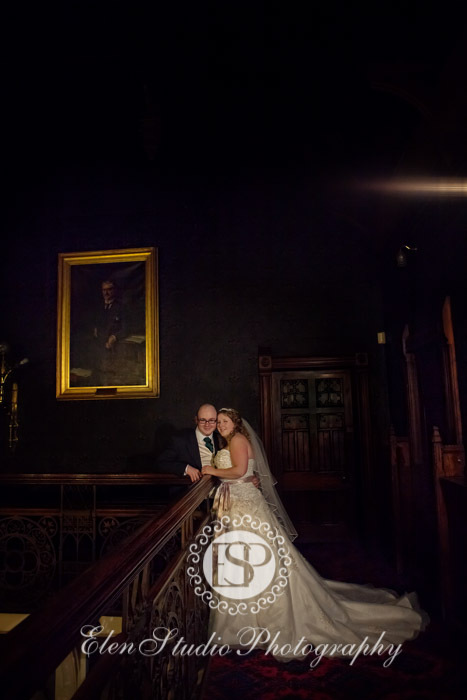 The hall is also amazing inside. 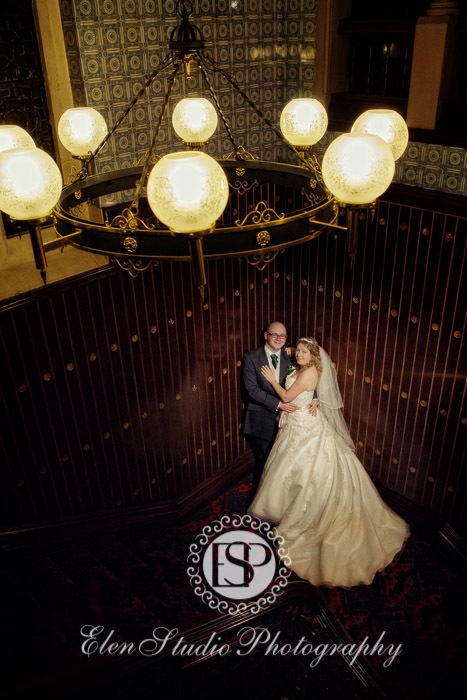 If you plan to choose the venue for your wedding, take the opportunity to use its exquisite rooms for bride and groom preparations. 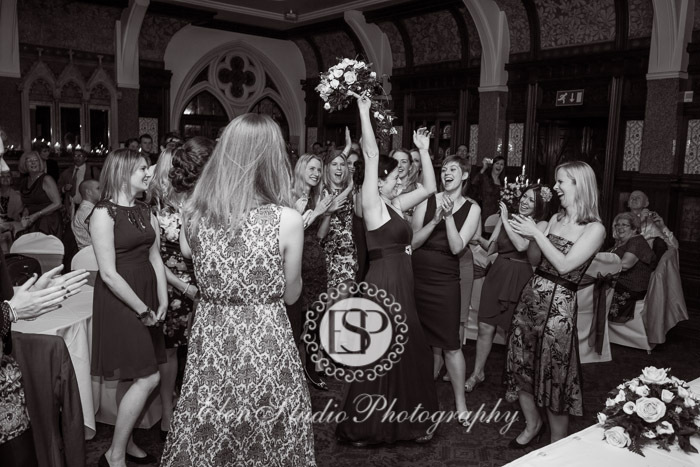 There are many things to note about the wedding. 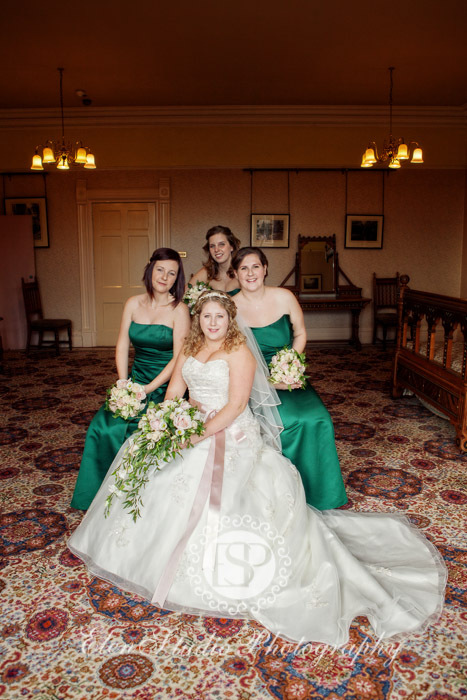 First of all, Kat had a gorgeous wedding dress; the flowers and bridesmaids dresses were matching the pink-green theme of the wedding. 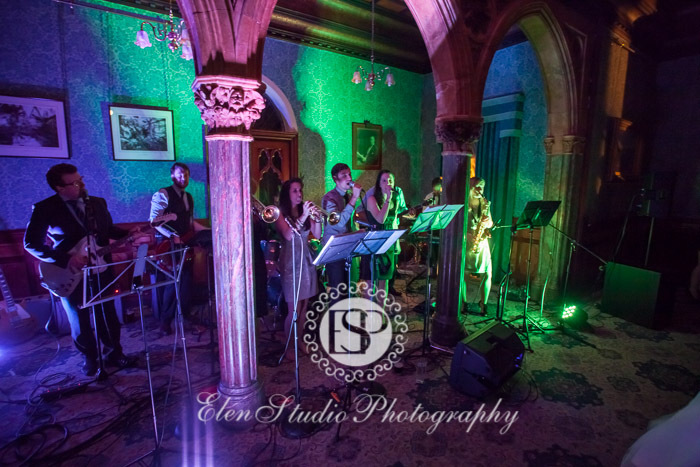 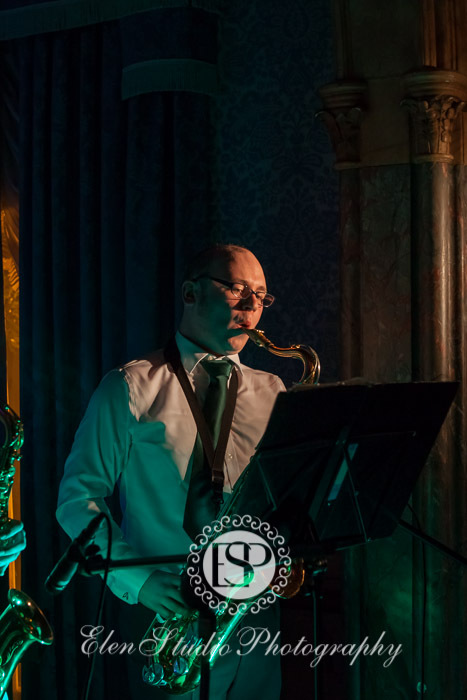 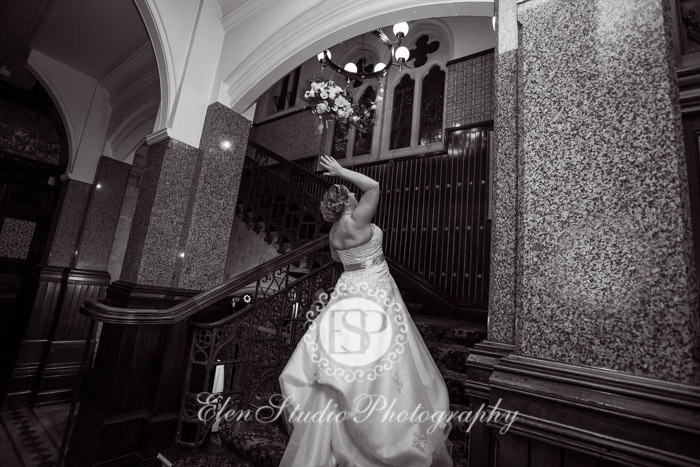 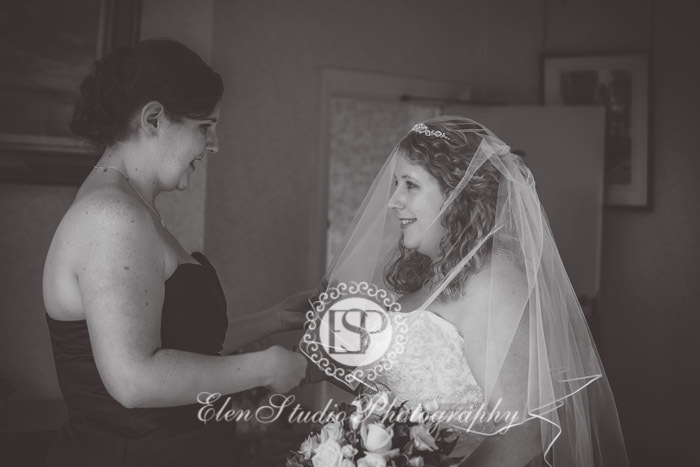 The music for the wedding day was chosen very carefully as well: the ceremony was accompanied by live music played by a jazz trio; the evening party – by a band where Matt used to play in the past. 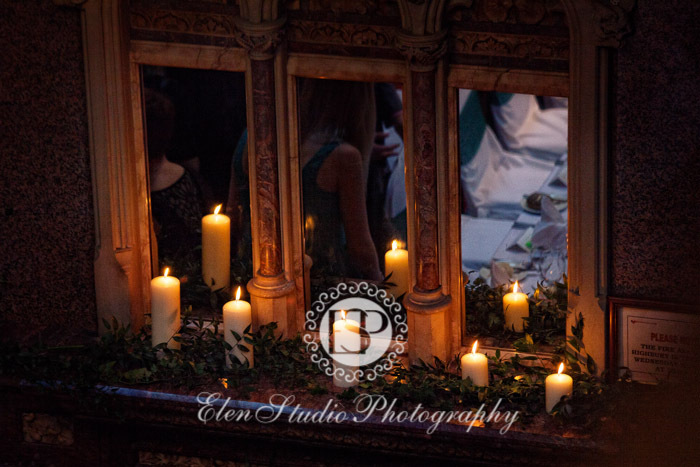 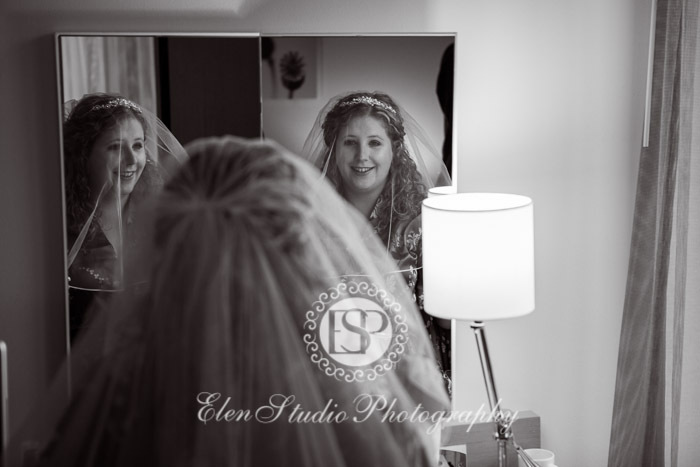 Hopefully, the photos have reflected the fantastic atmosphere of Kat and Matt’s wedding day.